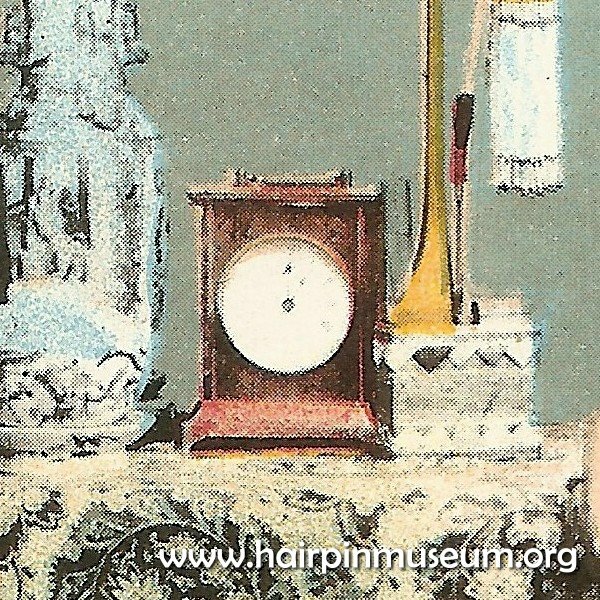 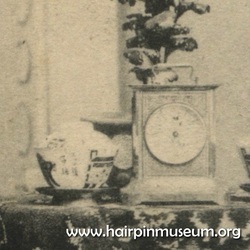 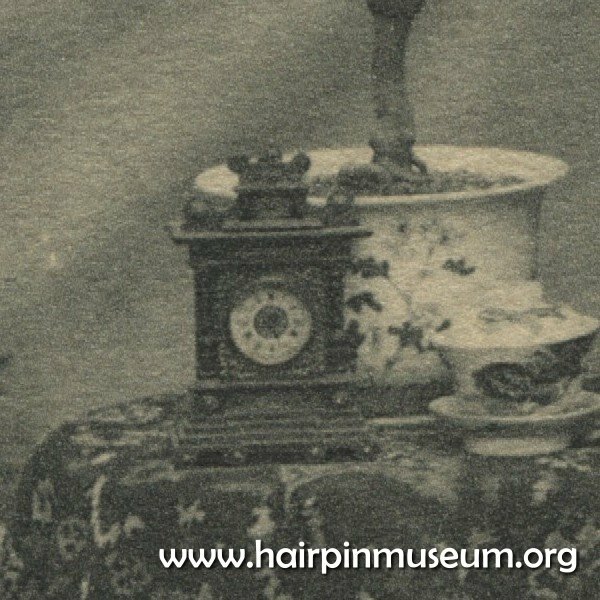 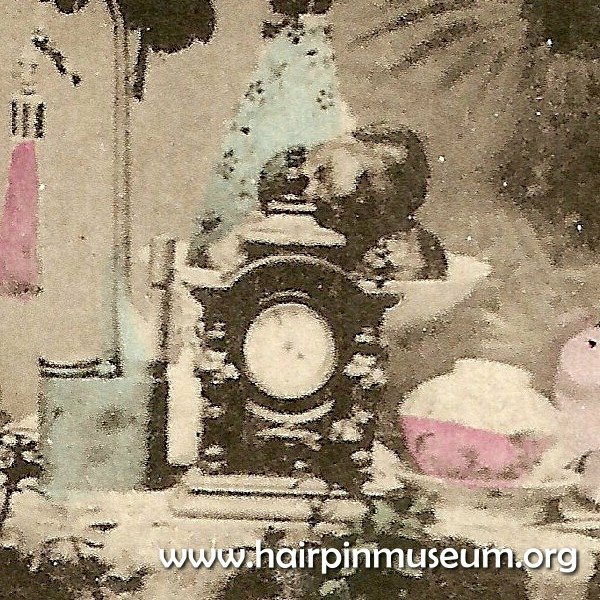 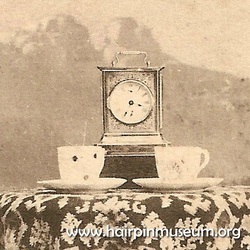 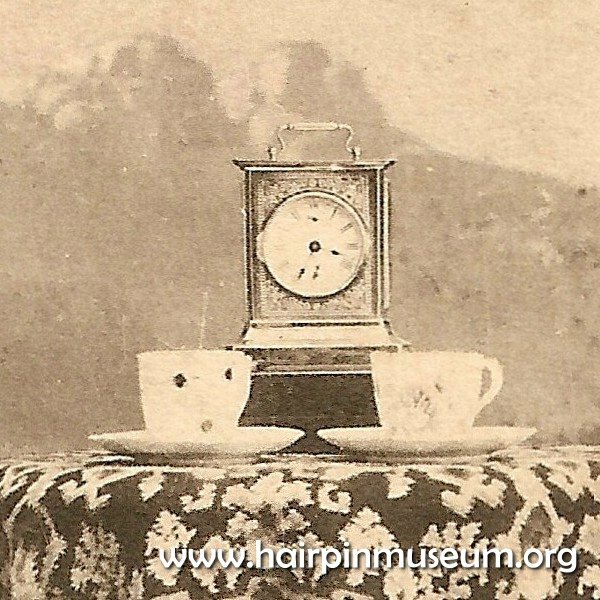 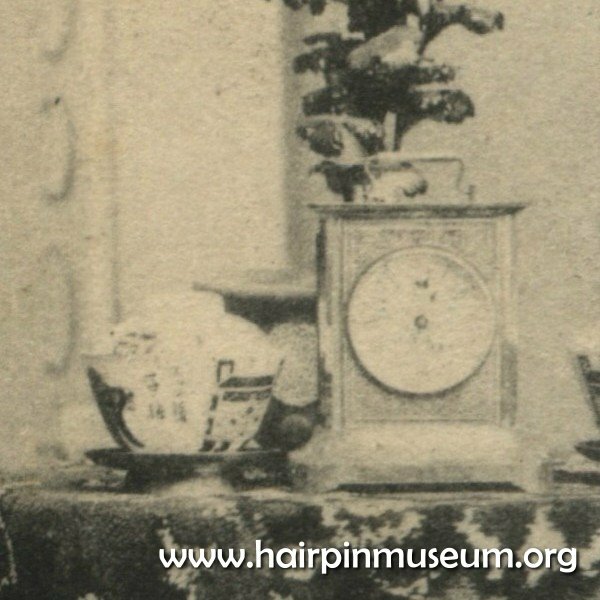 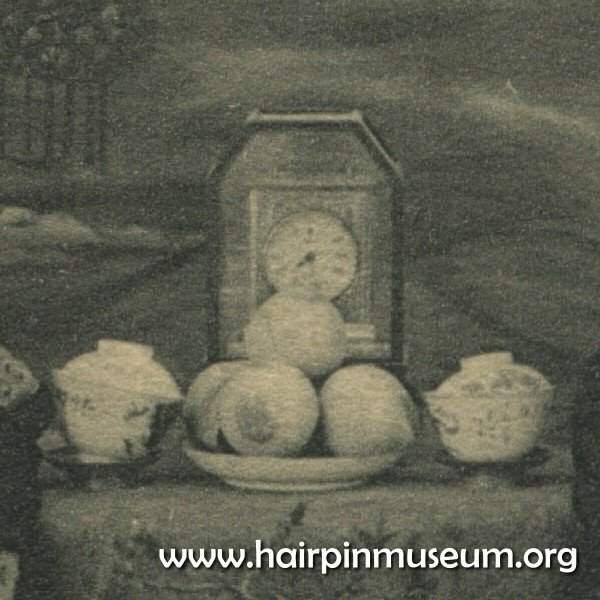 Just as western style teacups and teapots were used as "props" in many photographic studios, sometimes a western mantle clock was included in staged interior scenes to make the photograph more interesting and to lend a touch of high class to the image. 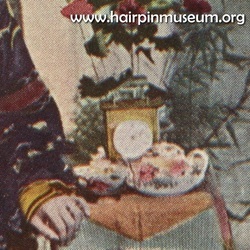 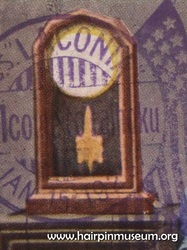 In the top three images (below) the same clock has been used in different settings. This may be a clue that all the different scenes were photographed in the same studio. 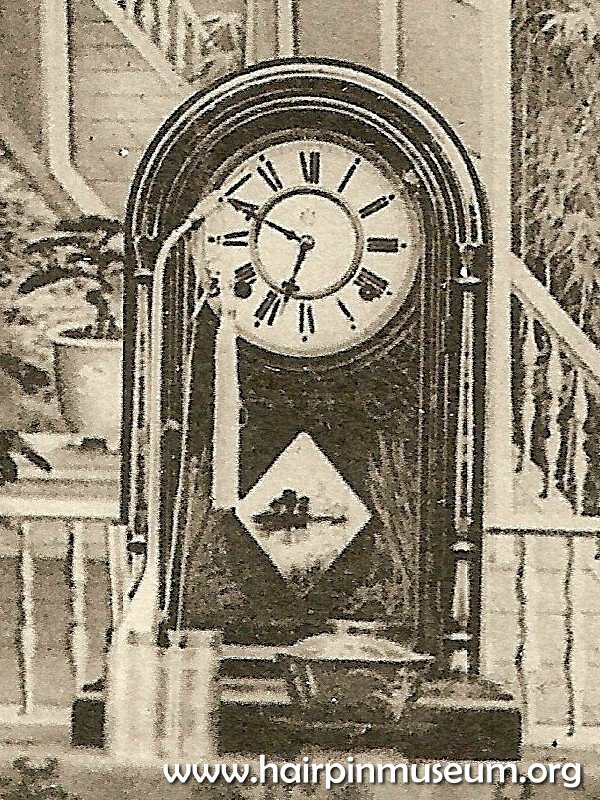 Alternatively, this may have been a popular and relatively cheap imported clock. 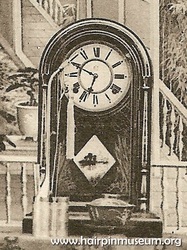 Counting from the top left image to the bottom right: numbers six to eleven are the same clock. 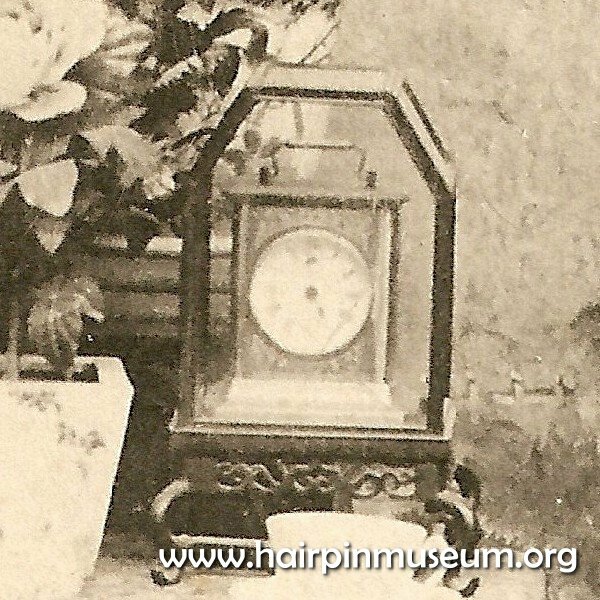 On two of them (eight and nine) the clock can be seen to tell the same time - but on closer inspection it is clear that it is the same photograph, with one of them being hand-coloured. 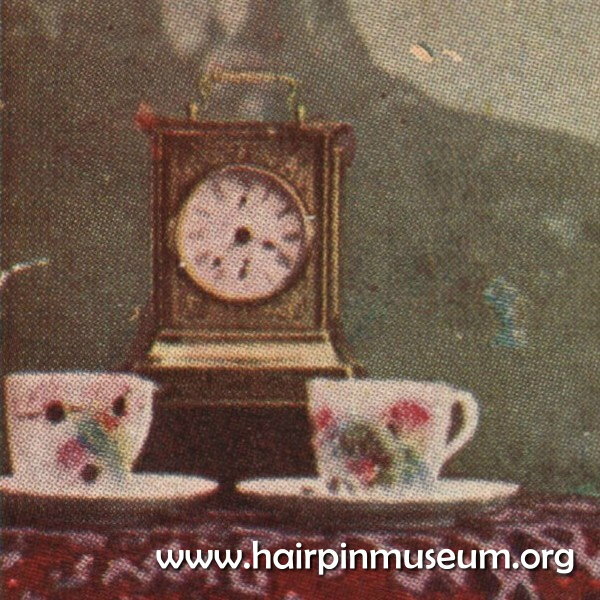 Image number thirteen and fourteen are the same clock in different settings - so again these postcards may have been photographed in the same studio. 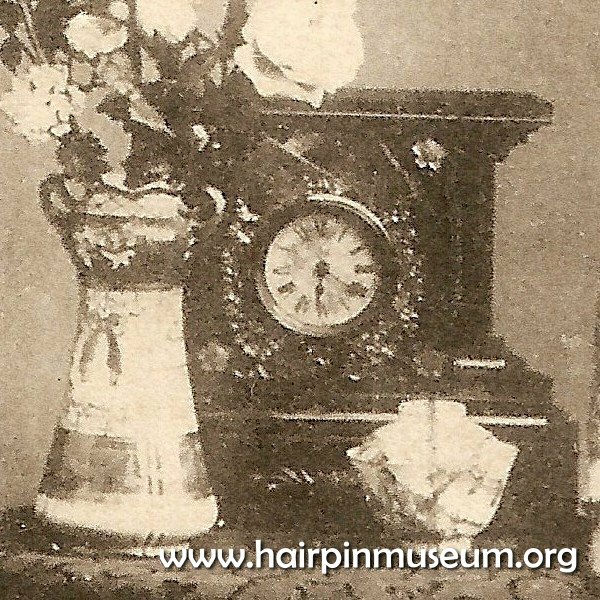 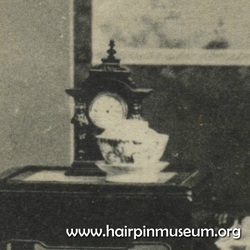 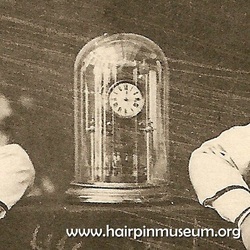 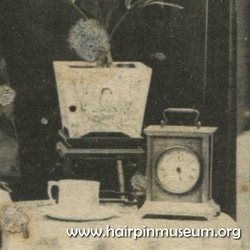 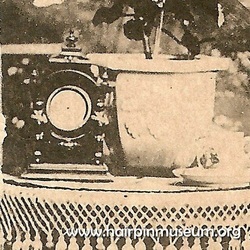 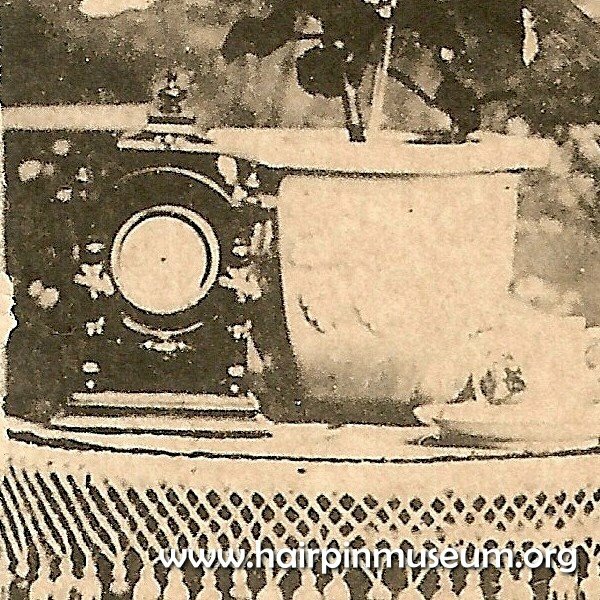 The clock in the last image, the one under a glass cover, is an expensive mantle clock and therefore is more likely to belong to a rich family than being a photographic studio prop.